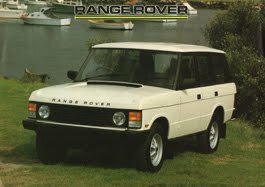 9.1 Why did Leyland started CKD assembly of Range Rover in Australia? 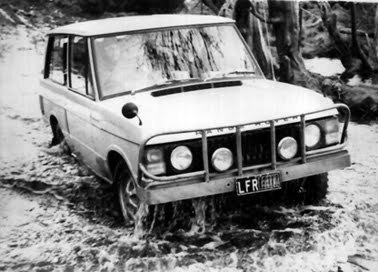 A small fleet of 3 Range Rover were imported to Australia as press launch and demonstration vehicles,prior to the official launch in July 1972. They were of the very early built 356-series; RHD Export models and imported late in 1970.
perfect in the recreational market (RV) market. 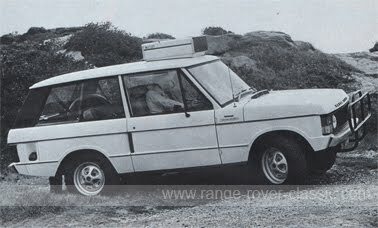 Prior to the official Leyland launch of Range Rover in Australia in July 1972, some very few vehicles arrived the Australian continent like this Range Rover "J 3249". 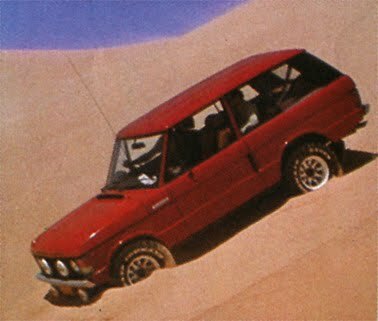 The first owner bought the Range Rover early in 1971 and drove it overland from Jersey/UK to India, where it was shipped to Australia. A rather long way to drive your new vehicle home! "Before driving the car, we couldn't see a big market for it. But, now we are sure it will sell in Australia as well as it has in England. Unfortunately the car is stuck with the Land-Rover image of rough and ready transport for the farmer and his sheep. In fact, it's a fast, comfortable and exceptionally roomy station wagon." "The engine is exceptionally smooth and quiet, giving tremendous low-down torque and yet revving quite happily. It will pull strongly from as low as 10 mph in top and take-off from standstill in second as though it didn't have a lower gear. "Not only the ride is outstanding but its cornering ability is far in excess of what you imagine for an almost six-foot tall vehicle with beam axles you naturally associate with an agricultural scene." 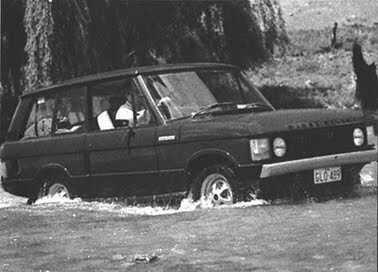 The first batch of 100 Range Rover's were waited to arrive Australia in July 1972. 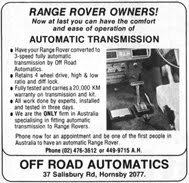 Launched at the Australianmarket by Leyland Motor Corporation Australia in July 1972.
in the early stage of Range Rover and the huge demand worldwide. 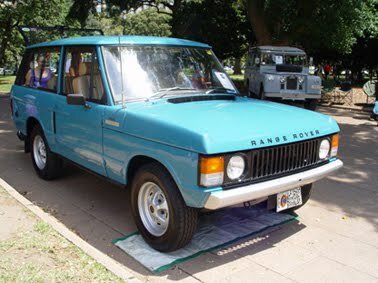 in July 1972, several Range Rovers were imported to Australia. 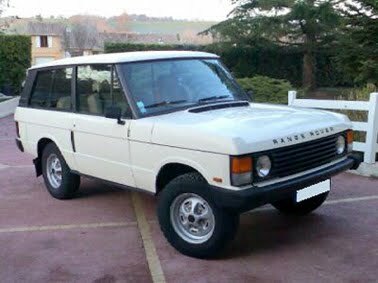 you can get info if your early Range Rover is exported as 'Personal Export Delivery' order. 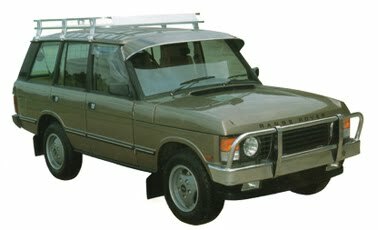 shipment arrived Sydney with the SS Wilkawa on 17th July 1972.
production of the Range Rover started in Australia and then with the 357-prefix #VIN badge. either arranged by single owners or as 'Personal Export Delivery'. and can be confirmed if you check your #VIN by ordering at BMIHT in UK. 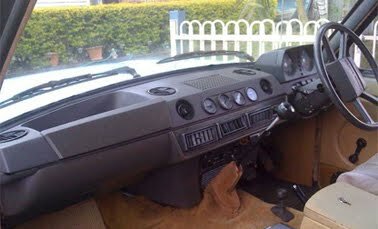 - AMCAIR integrated Air Conditioning system for Range Rover dealer mounted, introduced. the next years this installation became a Leyland approved unit. air vents the reading of them are really improved. 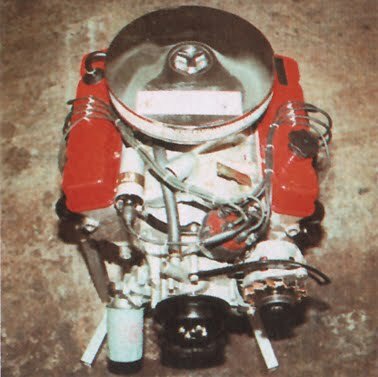 Leyland Australia made their own version of the 3.5 litre Rover V8 engine with a 2-barrel carburettor with an special inlet manifold for use in the Australian manufactored Leyland P76 model. 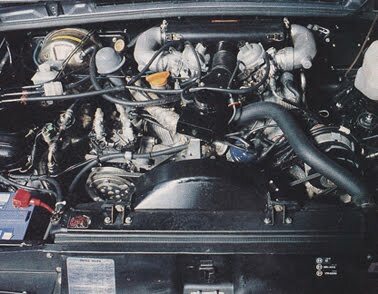 This 4.4 litre V8 engine were never used elsewhere in any other Rover or British Leyland vehicle. 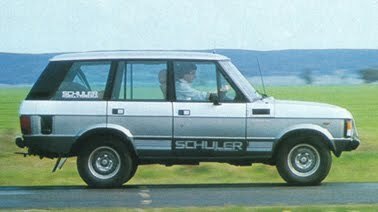 It is known that special conversion companies for Range Rover in UK used the 4.4 litre V8 engine, like Rapport and Schuler. 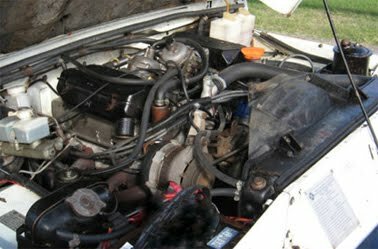 In Australia there are quite common in the 1970's to have the P76 engine installed as a dealer option or as a swap conversion from a donor P76 vehicle. is like a steam engine. 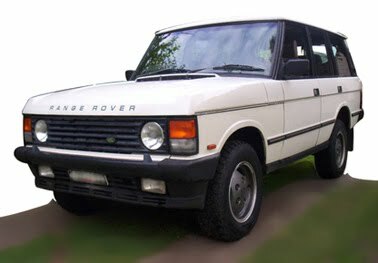 The 4.4 litre fits directly into the Range Rover LT95 bell house on the gearbox without any special extra effort. The 4.4 is easily noticed with the special rocker covers and the circular air intake. 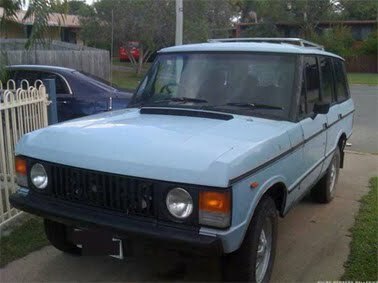 Still today there are a lot of Australian Range Rover Classic's that run with the 4.4 litre. 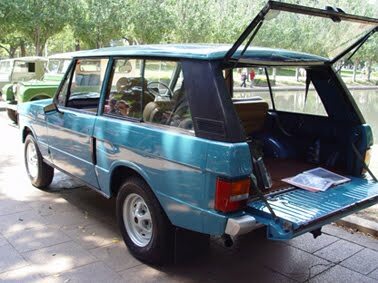 kit for Range Rover which they launched at the Australian market, at the year-end of 1977.
were not available before August 1982 with the second limited edition "in Vogue". because the gear ratios are well balanced to the vehicles characteristics. gearbox together with the remaining LT95 transfer case and third differential. underneath to protect the automatic, torque converter and the sump. The auto changes are actually faster than on the manual gearbox. installation looks like a factory developed system. in the transmission system, especially between 2nd and 3rd gear change. Ford C4 is 30% more expensive than the Borg Warner unit. 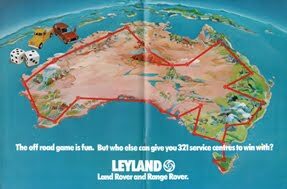 marathon London-Sydney rally in two Leyland Australia supported and Endrust equipped Range Rovers. 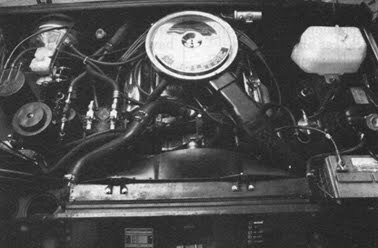 The standard 3.5 litre V8 engine is replaced by a standard Terrier truck Leyland 4.4 litre V8 engine which is slow revving and with high torque. 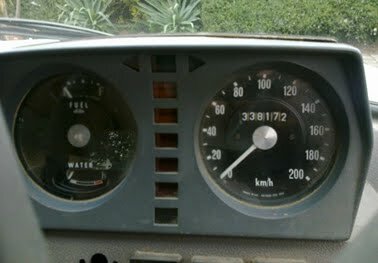 Because of low gearing the 160 km/h speed is managed at 5.000 rpm. 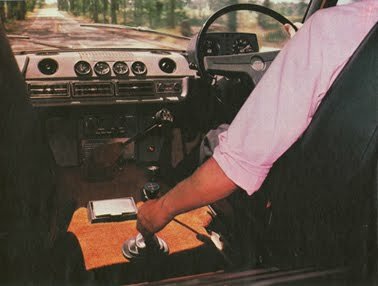 Comfortable cruising is achieved at 4.500 rpm. High torque is available at low rev as 1.800 rpm. The LT95 gearbox and transfer case transmission is also standard. 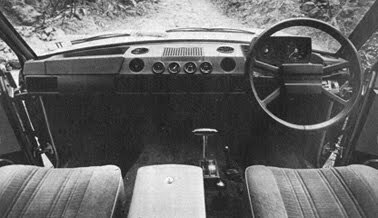 The suspension were fairly standard with heavy duty springs, two Bilstein gas pressure shock absorbers at each wheel and standard brakes. Wheels from Sunraysia and the tyres were Bridgestone 702. 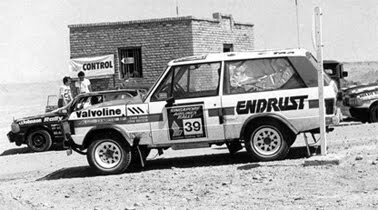 The Rover were fitted with optional diff locks. marathon a Mark IV air conditioning is fitted. 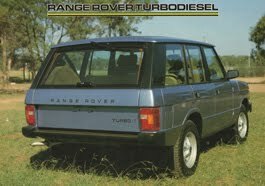 From 1978 to 1982 all Range Rover's sold in Australia had automatic choke carburettors and a special vacuum air pump and Puls-Air air injection to meet the Australian emission control regulations for detoxed engines. 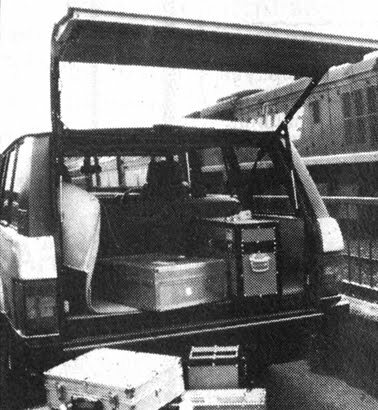 Special for Australia was also the solution with two air cleaners under the bonnet, one large air cleaner box for each carburettor, as you can see on the picture down right. 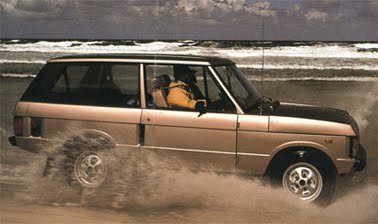 Overdrive from Land-Rover available as optional option for Range Rover. 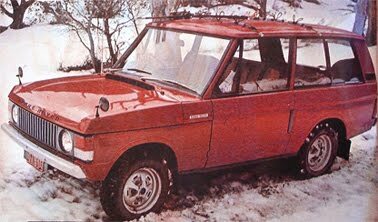 Moke (until 1982), together with Land-Rover, commercial vehicles and buses. their own car production to avoid raise in unemployment. Read more just below. vendor needed like the windows, interior etc. 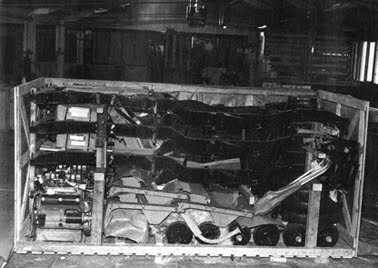 CKD production because it was no longer profitable and the assembly was layed down. and to make them cheaper to sell. Carpets were fitted in Australia before delivery to the customers. dash AMC air conditioners fitted in Australia. were imported with carpets and factory fitted air conditioning. 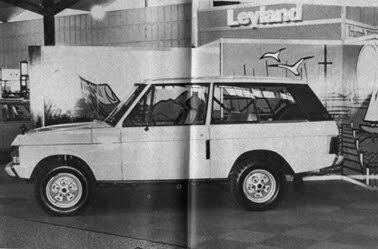 Why did Leyland started CKD assembly of Range Rover in Australia? 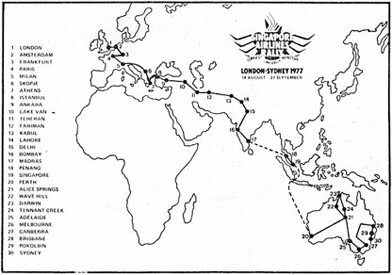 There were unstable world economy during the 1970's with oil crisis, inflation, union strikes and threat to domestic production from new countries with lower labour cost. In Australia the Federal Government had a commission to assess the best possible way to protect the Australian local production and avoid raise of unemployment. 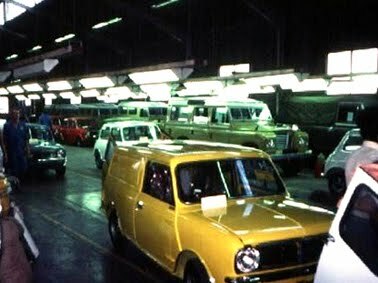 For the car industry in the private passenger sector there had already been released a protection plan in 1976/77 but not for the light commercial and four-wheel-drive/recreational vehicle sector. The recreational vehicle market were rapidly growing. 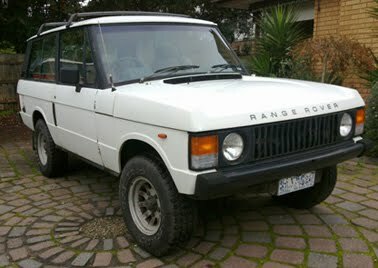 decided to start CKD assembly of Range Rover at the Leyland plant in Enfield near Sydney. 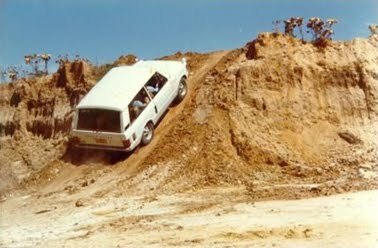 Range Rover in normal quantities in Australia. 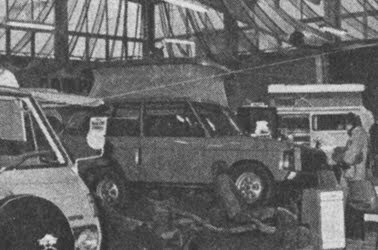 The CKD assembly production started in 1979.
a price of AUS $ 2.950,- or 15% of vehicle cost. a very eye catching colour available together with other Australian only colours. Schuler-Voith with Morse chain driven unit from gearbox to transfer case. 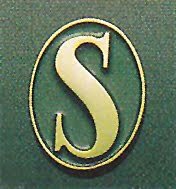 - ULR in Malvern/Melbourne, the exclusive dealer. 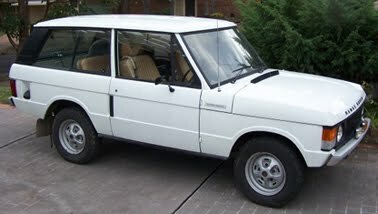 the Leyland P76 vehicle, to swap into Range Rover instead of the 3.5 ltr original engine. 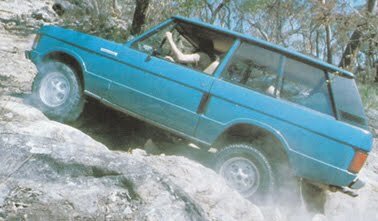 the Australian Schuler Range Rover became very powerful with outstanding handling. from Holden, looks like it always were a rare animal. 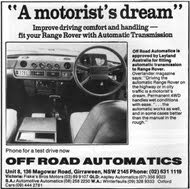 Introduction of 4-door Range Rover in April 1982, also as CKD assembly for the Australian market. 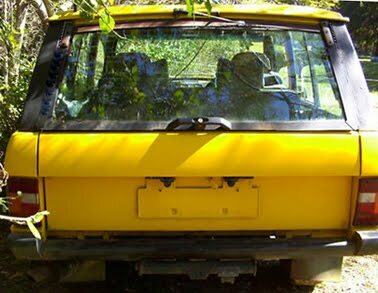 Note that the Australian door mounted rear view mirrors are positioned longer backward than on the similar UK built Range Rover's. 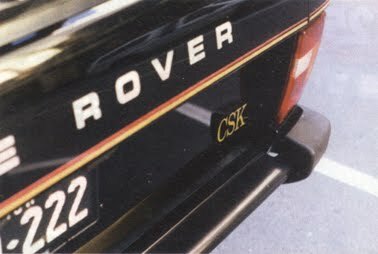 available for CKD produced Range Rover's together with som Holden colours. 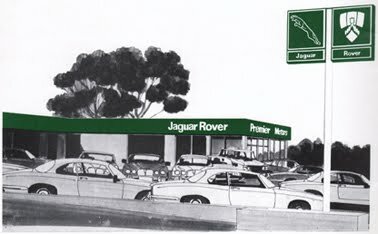 over by Jaguar Rover Australia/JRA Limited. Leyland Trucks and Leyland Bus Australia, as well as an Australian agent for Peugeot. 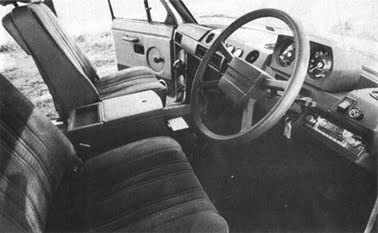 Actually the Peugeot 505 was CKD assembled at Enfield, together with Mini, Land-Rover and Range Rover. 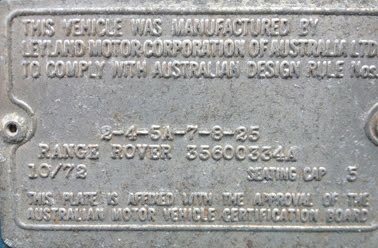 The Australian CKD assembly production of Range Rover stayed on further 2 more years, despite that the Australian Government raised taxation of automobile parts up to 150% in December 1983. There is information that JRA continued assembly of Peugeot's at Enfield plant as long as 1991. The closure of the PMC plant in Enfield resulted in long delay of delivery of the new vehicles to customers, as the switch of supply from UK was not fully forecasted and prepared. say. 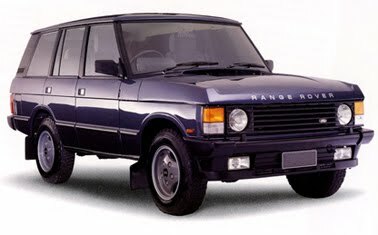 The very last 2 door Range Rover was actually a 1984 factory built vehicle, with automatic transmission and silver metallic paint. 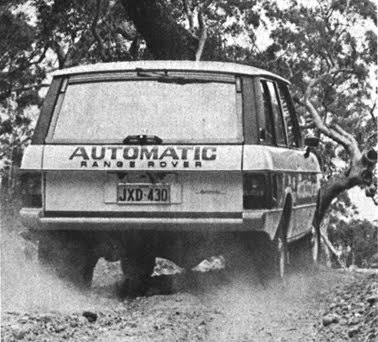 Australian CKD assembly production ran further on one more year in 1984. 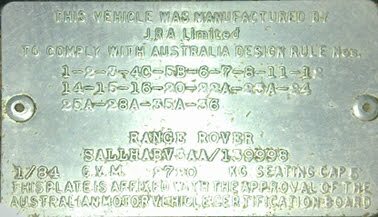 "This vehicle was manufactured by JRA Limited to comply with Australia design rule Nos......"
which the CKD assembled vehicles got. must have got the VIN before crated as CKD kits in UK prior to shipment. 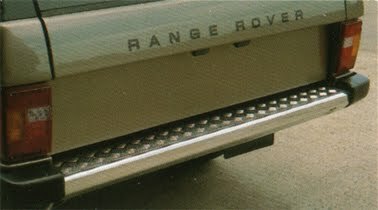 console are the latest steps in the refinement of the Range Rover. - More efficient heater with 50 % more heat effect. 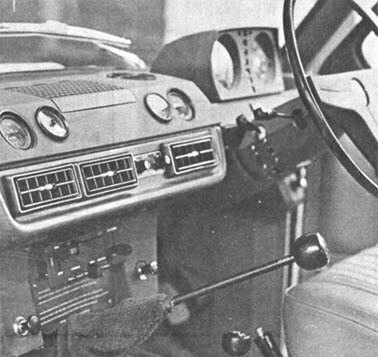 Ducts to rear passengers as well as front. 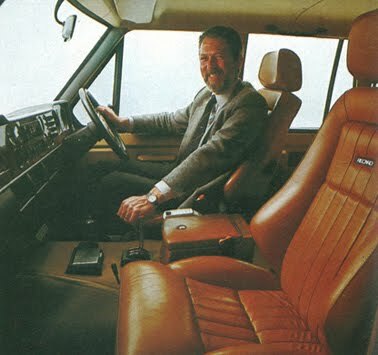 comfort, ride and style that no other vehicles came close to matching, during the 70's and 80's. 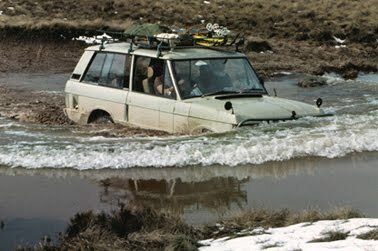 But even the best 4x4 vehicle has some elements that are not perfect. 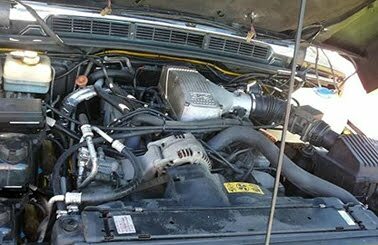 Especially if one intend to pull a big boat or a horse trailer, so there will be too little power with a detoxed 3.5 liter V8 engine that are producing 125 horse power, steam engine characteristics or not. 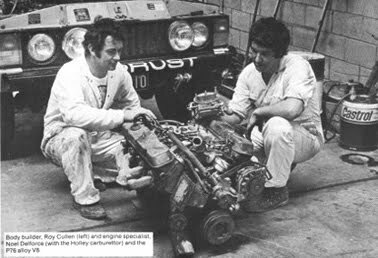 Ritter Automotive Pty, near Melbourne, has developed a powerful alternative to the original fine, but unfortunately a bit underpowered Rover V8 engine, with a conversion kit with a 5.0 liter V8 Holden Brock engine at 184 horsepower. 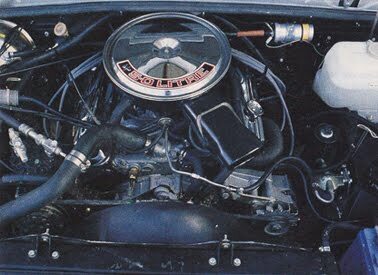 the engine to a Chrysler transmission. 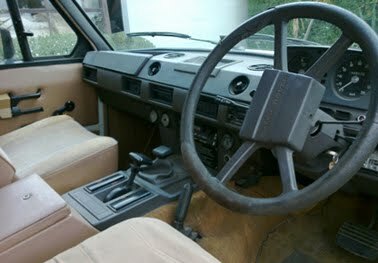 The A/C compressor is unaffected, but the power steering pump and reservoir is on the drivers side. engine bay. The whole installation were done in a week or so. With this conversion there were also other necessary upgrades done, like a better cooling system. 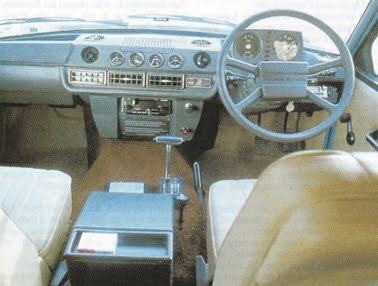 The Ritter conversion were available for the LT95 four speed manual gearbox and, more suited, the strong factory equipped 3-speed Chrysler 727 automatic gearbox. Unfortunately the 4-speed ZF automatic is too light to cope the extra horsepower. 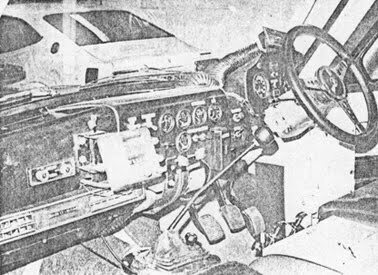 Ritter's proposal were to use either a four-speed GM or a new Borg Warner automatic gearbox. 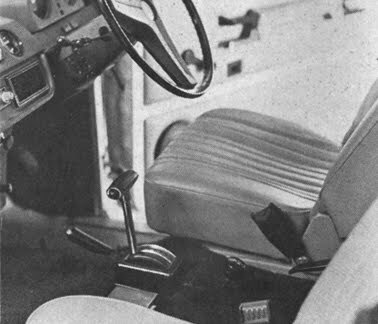 The original 5-speed manual gearbox had the same problem as the 4-speed ZF; not sturdy enough. accept this version if the engine is black painted and in really good condition. - 2. A new Holden V8 with 170 hp compared to Rover 3.5 with 125 hp and 350 Nm torque compared to 250 Nm originally. This engine will produce sufficient amount of power. - 3. And the best of all a Brock engine with modified cylinder heads that gives 184 hp and 345 Nm of torque. 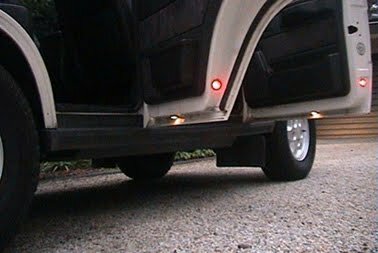 for the driver both on road as well as off road. 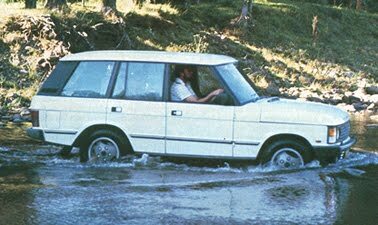 market for a cheaper and simpler vehicle, more suited for use off road. 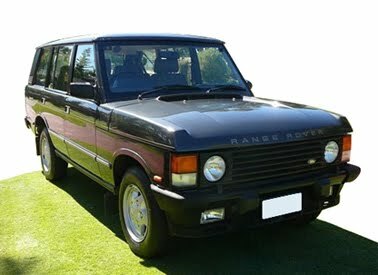 After the deletion of a 2 door Range Rover in Australia, JRA steadily received such requests. 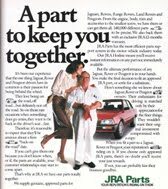 April 1990: Australian Federal Government raised the luxury car tax significantly without warning. The sales of Range Rover and other expensive vehicles dropped immediately and allmost non were sold the next six months. 3947 cc V8 EFI, Max power: 180.0 bhp (134.0 kW) at 4750 rpm. 2393 cc 4 cylinder, Max power: 112.6 bhp (84 kW) at 4200 rpm. - 5 speed, chain driven transfer box, high (1.2058), low (3.2431) ratio. Central differential with viscous control unit. 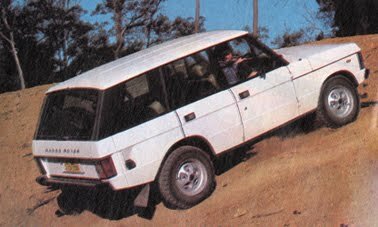 Australian artist Bob Marchant; showing a Range Rover in the Australian Outback. 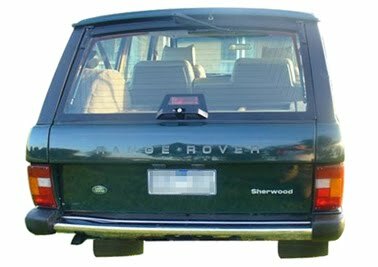 Range Rover Sherwood: Special edition, see details above. 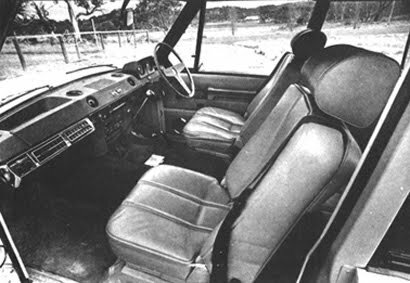 - Velour cloth upholstery w/ 8-way adjustable front seats. 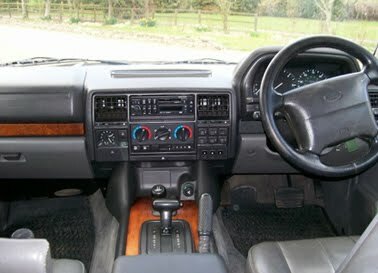 - New and completely revised dashboard introduced, so-called: "softdash"
- All Australian sold Range Rovers with in-car CD that explains the vehicle's controls and features. Engine 3.9 litre V8 Petrol EFI - Lucas MFI 14CUX - 5AM "Hotwire"
- Connolly leather upholstery w/ 8-way adjustable front seats and 2 memories. 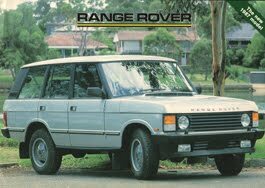 - Range Rover, the original now rebadged as "Range Rover Classic"
Thanks to Australian Range Rover Classic enthusiasts for their invaluable contribution of information and material to build the history of Range Rover Classic in OZ !